You can open an ABLE account in as little as 10 minutes. We’ll ask for some information about the beneficiary, the qualifying disability, and how the ABLE account will be funded. To complete the setup, you’ll add a goal and allocate money. You can save your money in a cash option and/or invest it into a stocks and bonds option. If you decide to invest it, you’ll need to put at least 10% of your monies into an investment option. The choice is up to you. There’s a $25 minimum deposit to start off your account and a $10 minimum for any contribution or withdrawal after that. If you’re a “saver” rather than an “investor”, this is a conservative alternative for saving. It could be a good option if you plan on spending money from your account in the near future. This option protects your balance by putting all of the assets into an FDIC-insured account. There’s a low level of risk and lower level of returns. There are three types of financial portfolios to pick from: ABLE Conservative, ABLE Moderate, or ABLE Aggressive. Each investment option has its own benefits and limitations. It’s up to you to decide which one is right for you. ABLE Conservative seeks to provide current income and some growth by investing in a portfolio of mutual funds that consists of 20% global public stocks and 80% bonds. Overall, there’s a smaller amount of risk and limited appreciation potential compared to the other investment options. This investment option is designed for a shorter investment period. ABLE Moderate seeks to provide a combination of growth and current income by investing in a portfolio of mutual funds that consists of 50% global public stocks and 50% bonds. Overall, there’s a medium level of risk and potential investment return (or loss) as compared to the other investment options. This investment option is designed for a medium investment period. 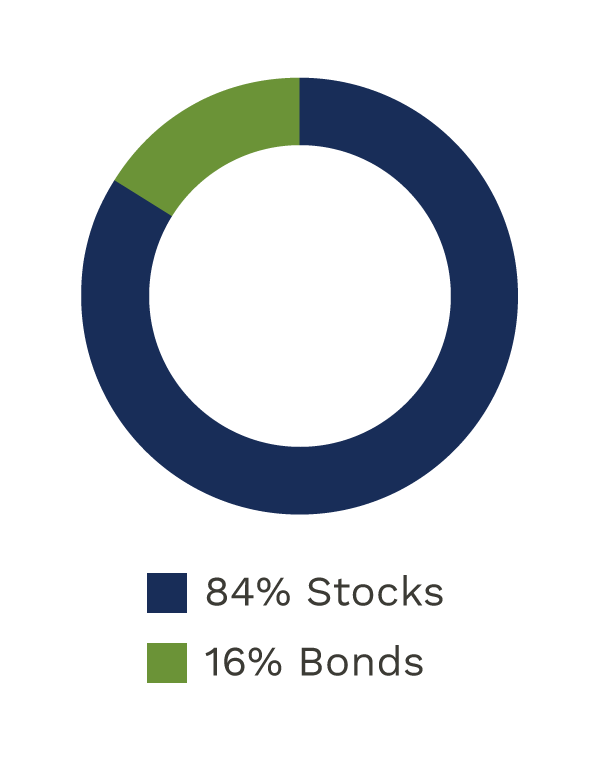 ABLE Aggressive provides the potential for growth by investing in a portfolio of mutual funds that consists of 84% global public stocks and 16% bonds. Overall, there’s a higher level of risk and potential investment return (or loss) as compared to the other investment options. This investment option is designed for a longer investment period. With the online platform powered by Sumday Plan Management, the whole process is simple and intuitive. Your bank account is securely connected to your ABLE account to protect your information. You can add as little as $10 at a time whenever you want, or every month with recurring contributions to help you reach the yearly maximum ($15,000 for 2018, or more if the beneficiary is earning wages from employment). Friends and family can also add to an account by making gift contributions. After June 30, 2019, there will be a low annual fee of $35 for each Washington State ABLE Savings Plan to keep everything running smoothly. There are also low fees on the underlying mutual funds, which are a part of each of the investment options, and a state administrative fee. These add up to between 0.30% and 0.38% of the account’s balance per year. Additional fees are added when you opt out of electronic statements or request a withdrawal check, instead of doing everything online. You can check them out in our fees FAQ.